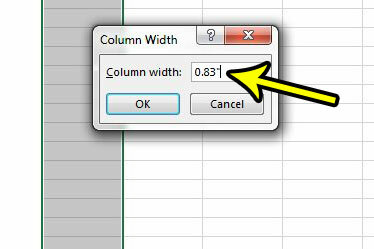 It’s rare that the default column widths and row heights in your Excel spreadsheet will be the right size for all of your data. You may already know how to resize the columns or rows manually, or you may know how to use AutoFit to resize them automatically. 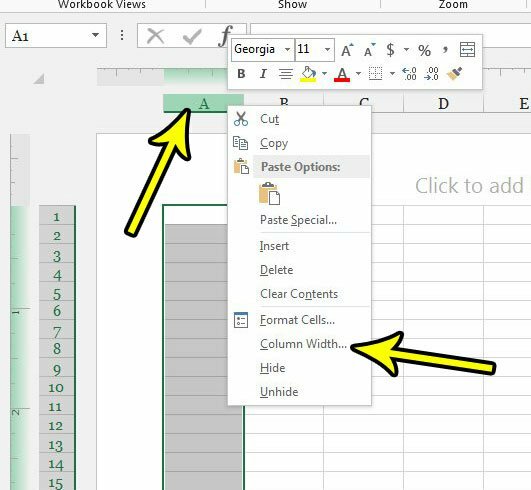 But if you have ever tried to enter a value to set your column widths or row heights, then you may have struggled to do so because the Normal view in Excel 2013 uses point values to determine these measurements. Luckily you can switch to a different view and set those dimensions in inches instead. The steps in this article were performed in Microsoft Excel 2013. 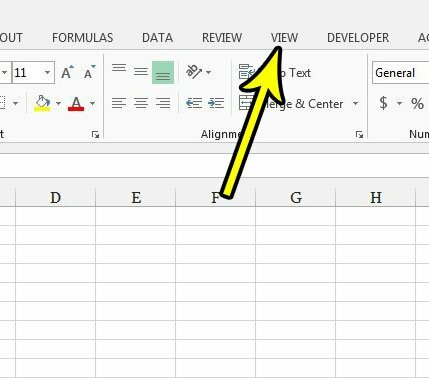 This guide is going to show you how to switch the view from Normal, which is the default view, to Page Layout. This will change the units that you use to set the row height and column width so that it is being done with inches, rather than point size. Step 3: Right-click on a column letter or a row number, then choose either the Column Width or Row Height option, respectively. You will then be able to set the units for that item in inches, rather than the point size that is used by default in Normal view. Have you ever been working with a large number of CSV files that you needed to combine? 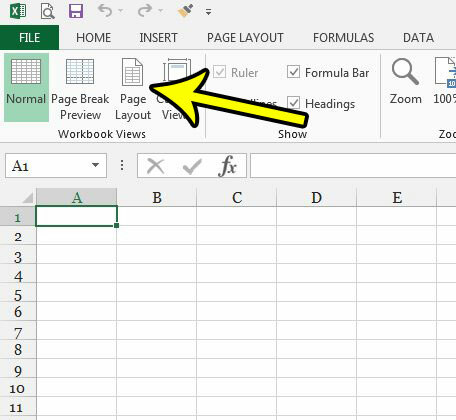 Find out how to merge CSV files quickly and make the process a little simpler. Where is the Level on the iPhone 7?